For as long as I had known about abortion, I had supported a woman’s right to choose abortion if she felt it necessary. I had been lukewarm on the issue, not really vocal or anything, but I was certainly pro-choice. I was a self-proclaimed feminist, after all, and I had left behind the morals my parents had tried to teach me to live a life of freedom and self-determination. But my steadfast position on a woman’s choice withered away in the space of a few terrifyingly long days in my sophomore year of high school. I was 16. I was scared and I felt so alone and I didn’t know what to do. I had “skipped” one month, and I was waiting anxiously for Aunt Flo to arrive on my doorstep. I had been gaining weight, and I was starting to feel sick. I was mortified. What if I was really pregnant? What would my parents think? What would my friends think? What would the guy think? But the guy, we had talked about this. We said we were going to be together—if we had a child, we’d raise it together. We’d work for that. I didn’t know what to do or to think, and my friends were picking up that something wasn’t right. A few days later in my drafting class, I was brooding terribly, and the guy walked in. He pulled me out of class to talk. We were speaking low in the hallway, and I hadn’t seen him in three days—since I intimated to him that I might be pregnant. I was furious that he would pull me out of class to talk about this now, after he’d ignored me for days. We spoke calmly for a few minutes before it came out. My mind was reeling. I might kill you and then myself. If I’d had the presence of mind, I suppose I would have run to the police or at least the vice principal. But I was shocked and scared, and I felt so utterly alone. And yet, in that moment, I knew something else, too: If I was indeed with child, that preborn human life within me would be worthy of the same protections as me. If I were to be killed, we would both be the victims of the same violence. So what right did I have to inflict the same harm that was being threatened against me upon an innocent human being? How much better would I be than the guy if I chose the path of violence to reach my goals in life? So, I looked up fetal development, and I searched resources on pregnancy and adoption. I educated myself and looked at the science of prenatal biology. It was so utterly apparent that even after everything I’d been through, I was not being a mere sentimentalist. My decision to become pro-life was based in science, reason, and logical conclusions. The impetus, of course, was a very twisted situation which no woman should ever have to endure, but it helped to turn the light on for me, and it charged my research with even greater purpose. I told my parents what was going on. I took several home pregnancy tests (none to the satisfaction of my mother) and eventually went to get a check-up with a doctor. I wasn’t pregnant. It was a relief, but it simultaneously put a weight on my heart: I had desired abortion a mere four days ago. This wrenched me and I wept… but as a 16-year-old, I was grateful for the new chance that I was given without having to inflict any violence. My story would not end in pain and suffering, a broken body, or a broken heart. The threat of violence helped me to recognize the value of every human life and the importance of those voices that spoke out for the dignity of both woman and child. While I was at Carnegie Mellon University, our pro-life student group, Life Matters, brought in FFL President Serrin Foster to present “The Feminist Case Against Abortion.” Since graduating, I’ve worked with the Life Matters Journal to bring to the fore non-partisan, non-sectarian discussion on all life issues—whether they be about the ethics of abortion, unjust war, capital punishment, euthanasia, or other human life issues. I hope to bring an end to violence. Becoming pro-life for me wasn’t just about being against abortion but about beginning the fight to stand up for all human life. I would not be here but for a terrible threat that brought the reality to me: This is about equality; this is about all human rights. 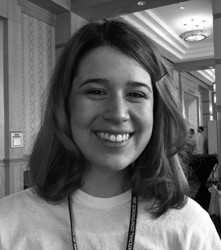 Aimee Murphy is the Executive Director of Life Matters Journal, a pro-life consistent life ethic publication.